A Chinese Physician is the portrait of a 16th century medical writer and clinical practitioner. Drawing on socio-economic/biographic, textual, and gender analysis along side a variety of sources, from hagiographical biographies to medical case histories, the book tells three very different but complementary stories about what it was to practise medicine in 16th century China. Woven together, these stories combine to create a multi-dimensional portrayal that brings to life the very human experiences, frustrations and aspirations of a well respected and influential physician who struggled to win respect from fellow practitioners and loyalty from patients. The book creates a vibrant and colourful picture of contemporary medical practice and at the same time deepens our understanding of the interrelationship between gender culture and medicine. 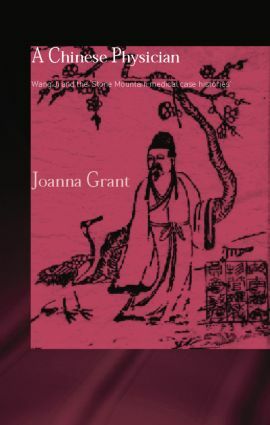 After graduating from Oxford University in 1993 with a degree in Oriental Studies (Chinese), Joanna Grant carried out research into various aspects of Chinese medical history at the School of Oriental and African Studies in London, for which she was awarded a PhD in 1997. Joseph Needham's 'Science and Civilisation' series began publication in the 1950s. At first, it was seen as a piece of brilliant but isolated pioneering. However, at the beginning of the twenty-first century, it is clear that Needham's work has succeeded in creating a vibrant new intellectual field in the West. The books in this series cover topics relating broadly to the practice of science, technology and medicine in East Asia, including China, Japan, Korea, and Vietnam. The emphasis is on traditional forms of knowledge and practice, but without excluding modern studies which connect the topics with their historical and cultural context.